In response to Kirra's post, I wanted to share a tiny little piece of my hometown that I began to love recently. Ok... actually, I just discovered it today. Today I will have worked a total of 14 hours. I haven't seen Shawn all day (and probably won't - I will get home past midnight), didn't get much sleep last night, and just haven't had a great day. Oh, and every other free moment is consumed with reading for my class. While I would always prefer to have a busy life over a boring one, today has been a bit chaotic for me. 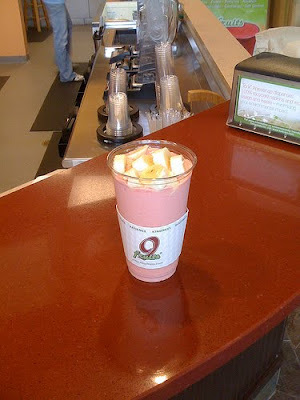 So this afternoon, I had a couple hours of precious free time in Cool Springs, and I was craving a smoothie. I had seen this place before, but had never set foot inside. 9Fruits in Cool Springs (Franklin, TN) - on the corner of Jordan Road and Mallory Lane. I expected to walk in and order some nourishment for my body. What the Lord knew is that I needed much more than that - nourishment for my soul. The song that played as I walked in just so happened to be one of my favorite Hillsong songs, "None but Jesus." You think He knew exactly what I needed to hear? I'd say a resounding "yes." And a resounding, "thank you, sweet Jesus." While the man behind the counter cheerfully prepared my pineapple-mango-banana-coconut smoothie, a woman waiting for her smoothie closed her eyes and mouthed the words to the song. Apparently I wasn't the only one who needed that. 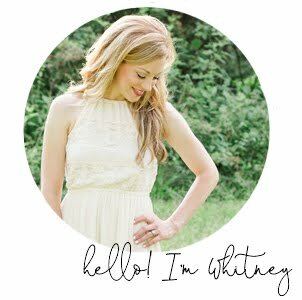 I realized, all of a sudden, that I had entered a worship service. In a smoothie shop! Needless to say, I highly recommend this place. I want to support its business, not only for the delicious smoothies (and mine was fabulous! ), but because they're unashamed of Christ. Not shoving a Bible in your face, but displaying a spirit of joy and confidently playing worship music. Ya!!!! And YUM! When we come visit (because we totally will) let's go there! I miss you!!!!! 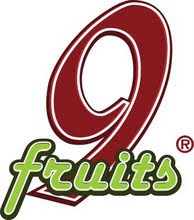 I wonder if it is called 9 fruits for the 9 fruits of the spirit? I love 9Fruits in the Cool Springs Franklin area! They have the best smoothies in Nashville!